This podcast series gives you brief and insightful conversations with PM practitioners in a variety of disciplines. Host Kendall Lott draws on his experience as a PM, as CEO of M Powered Strategies and as former CEO of PMIWDC to explore how project managers create value in surprising places. Our guests discuss their unique perspectives on project management, its uses, its challenges, its changes, and its future. A former US Marine/Special Ops commander, the co-founders of Leadership Techniques International, and the director/coach of the offshore sailing team at the US Naval Academy in Annapolis talk about what it takes to lead highly effective, high-performing teams. Project management is not for the faint of heart! Courage, selflessness, and dedication to the well-being of the team are some of the qualities needed to lead a truly high-performing team. Everyone needs to be 100% engaged in the endeavor. Bring your team to the table and let them have their say. If you really want to up your PM game, this episode is inspiring as well as practical. Listen, learn, and get a free PDU. 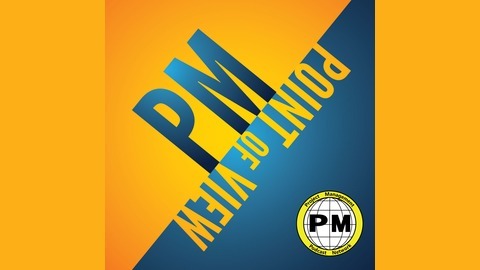 Earn education PDUs in the PMI Talent Triangle for each podcast. Jahn Tihansky has carved out a successful career in the marine industry including manufacturing, sales, consulting and education. He started two companies - a manufacturing entity based in Florida in 1985, and then an on-water education program based in Maryland in 1993. There he developed recreational courses, as well as team-building programs for corporate clients including Northrup-Grumman, Marriott, Pfizer and Coca-Cola. In 2005 he became Director/Head Coach of the Offshore Sailing Team at the United States Naval Academy. His program’s objectives include developing leadership and teamwork skills. During his tenure, his team has won four national championships along with numerous other prestigious ocean racing trophies. Leadership Techniques, LLC David B. Newman and Lisa Hammer are co-founders and principals of Leadership Techniques, LLC. 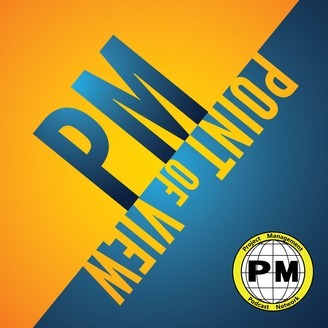 They have the honor of being part of an elite group of instructors selected to deliver multiple courses for PMI SeminarsWorld®, a series of professional seminars which are held annually in various cities throughout the United States and internationally. David B. Newman, PMP, PMI-ACP, SPHR, CSM, ITIL holds a Master’s degree in Technical Management from Johns Hopkins University. He has a diversified background in engineering and product development, is a certified trainer for leadership seminars, and loves to share his experience and extensive background with others. Lisa Hammer, PMP has more than 30 years of experience, specializing in project management and staff development for both large and small firms. She has managed the implementation of several multi-million-dollar programs, which included coordination of staff, consultants and subcontractors to achieve client goals while maintaining budget and cost controls across all activities. Colonel Steve Corcoran retired from the United States Marine Corps after 28 years of active service. Commanding at every level in the most austere and challenging environments, he successfully led the nations finest and was recognized for distinguished service in combat and peacetime. Steve has been the Chief of Cyber Strategy for the Telos Corporation since retiring, successfully taking his leadership knowledge from the Marine Corps, National Outdoor Leadership School into a corporate environment as well as continuing to serve and mentor other veterans transitioning into the civilian workforce. With a strong passion for serving veterans, he sits on the board of directors for Warriors At Ease©.